I love a good quick and easy, one colour eyeshadow look. Of course I also like taking the time to play around with numerous eyeshadows but that’s not always an option. There is very much a similarity with all my ‘wash of colour’ eyeshadows, they’re all a medium brown with shimmer, some with a plum undertone and some are far more bronzey but I just find these sort of shades the easiest to apply. I have three from MAC which I religiously reach for, all pretty similar in colour; Sable, Woodwinked and Bronze. Sable and Bronze are both Frost finish shadows wear as Woodwinked is a Veluxe Pearl. Woodwinked is one of my most worn and a very popular colour, it’s a warm red-toned brown but has a lot of depth to it which is why I love it do much on it’s own, it almost gives the illusion of a different colour in the crease even when there isn’t. Sable is a great one if you like slightly plumy browns whereas Bronze is more of a true brown with a golden sheen. 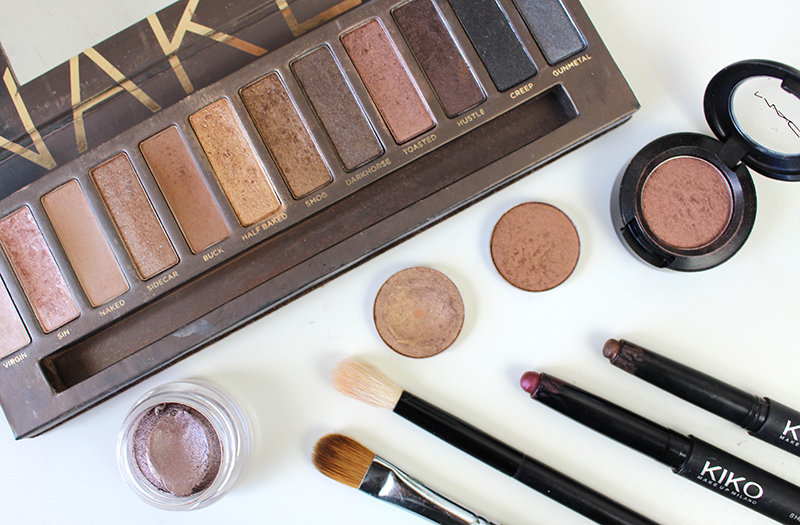 I also find that most good eyeshadow palettes also have that medium shimmery brown which I love so much, from the original naked palette my favourite is Smog and Half Baked (also toasted is a good’un) , both work beautifully alone all over the lid. Alternatively if powder shadows aren’t really your thing, I have been loving the Kiko Long Lasting Eye shadows stick, 04 and 37 look beautiful alone but require a little extra buffing out as they aren’t as shimmery and can look a little harsher. What are your favourite eyeshadows to use by themselves? 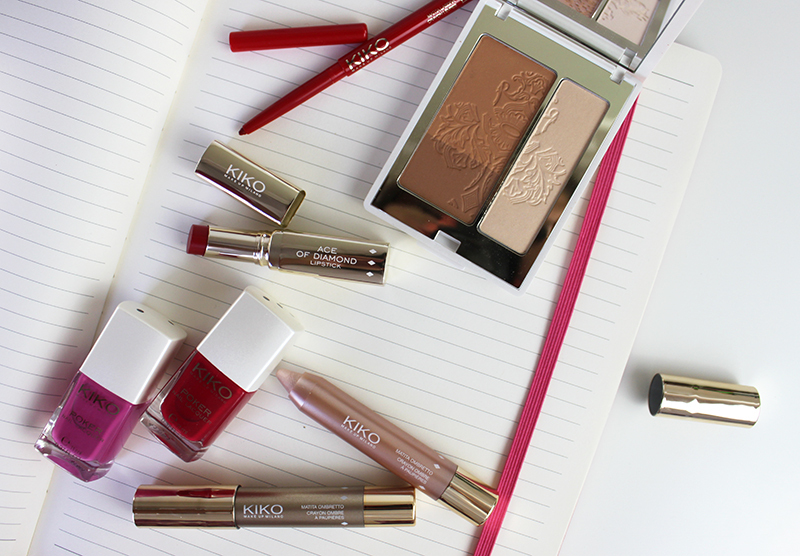 The new Kiko Daring Game collection really caught my eye recently as it has a great range of products from sculpting powder to kajals all in beautiful card themed packaging. What got me interested in the first place was the Golden Game Sculpting Bronzer, the contour shade is cool toned and matte making it look natural on the skin. The highlighter however isn’t quite as fine as the contour shade meaning it can appear a little too shimmery on the skin. That said I still think the contour shade still makes this a great product. The lip products are both creamy and long-lasting, I have the Ace Of Diamond Lip Pencil in 25 which is a twist up, gorgeous shade and the Ace Of Diamond Lipstick in 25 which is a very pigmented Demi-matte finish, in a perfect autumn shade. The All-in marker and kajal is perfect if like me, you love liner with very black formula and although I haven’t had a chance to try the nail polishes the colours and packing are really nice. I haven’t seen the blush or eyeshadow palette in person so I can’t really comment on those but I don’t really love the Face Brush which they sell as a contour and highlighting brush. I find it to be a little gimmicky although it would work well for a simple sweep of face powder find it isn’t precise enough for contour and highlight. The Long Lasting eyeshadows are also just a little shimmery for me with not enough colour and a little chunky although the Smokey Eye Pencils are great eyeliners. Although I hear a lot of people refer to Kiko as ‘Drugstore prices’ I actually think that it’s a little higher and products can really vary from being affordable to a little expensive so I hope my favourite picks from the collection will help you pick out products you also love. What do you think of the collection? 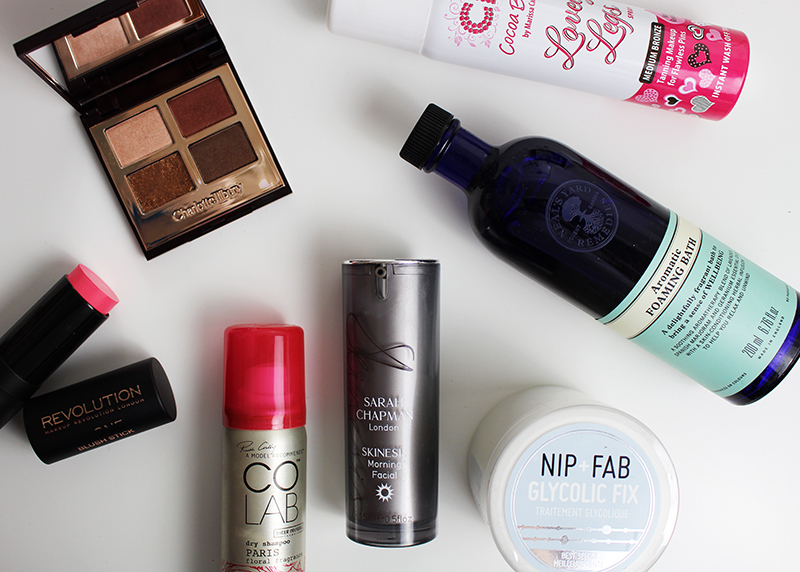 Has anything really caught your eye? What has your experience been like with Kiko? Available in Kiko stores and online here for a limited time. These blushers are probably my favourite blush release of the year, there are only four colours to chose from but they’re all very wearable and beautiful. As side from looking very spring like these blushers apply like a dream, they glide on and blend seamlessly leaving behind a pop of colour with a slight sheen which really brightens the face. My favourite of them all has to be Berry Pop which is the most perfect bright pink. There are very few products I hit pan in, which shows just how much I love this product. I barely used anything else last summer, it’s easy to apply just with fingers and adds a dewy finish to the cheeks without adding too much colour. I’m sure I’ll finish this over the next few months and am already planning it’s repurchase. For years this has been my ultimate spring/summer blush, its barely even thought about throughout the cold month but when it’s finally warm enough I get very excited to bring it out. 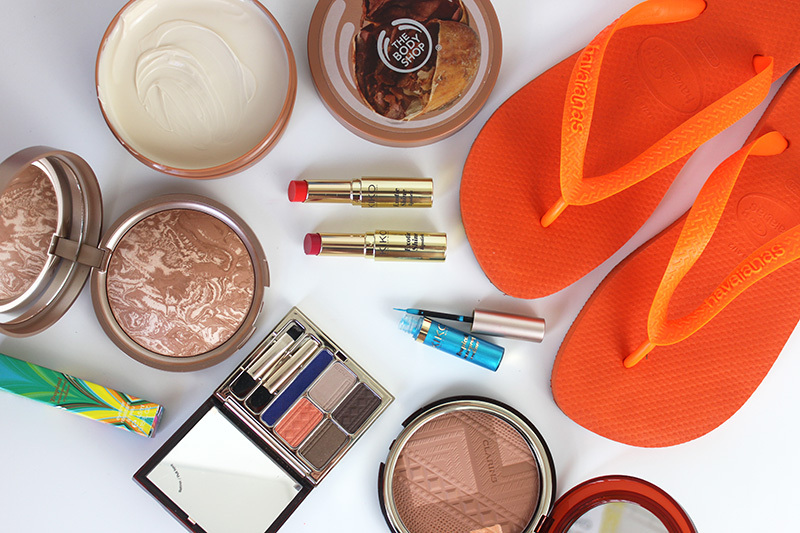 It’s the most beautiful coral shade which really helps lift the cheekbones, few things look better with a tan than this product. As far as drugstore blushers are concerned this is my number one and has been my go-to blush for years now. The pigmentation is good (will talk about baked products pigmentation at a later date) and the product is great quality but most importantly the colour is perfect. It is a fairly bright pink that has a slight gold shimmer which is barely noticeable on the cheek and instead adds a beautiful highlighting effect. Another blush I have had for years and it’s quite a universal coral shade with nice sheen that I look for in summer. The thin cardboard packaging also makes it very travel friendly. 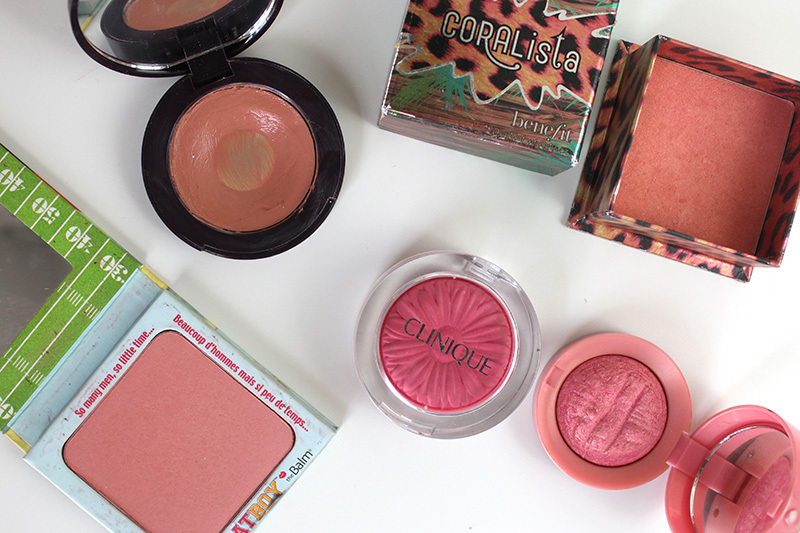 What is your favourite spring/summer blush?